The application fulfills the requirements for app publication. You have the role mdsp:core:DeveloperAdmin. 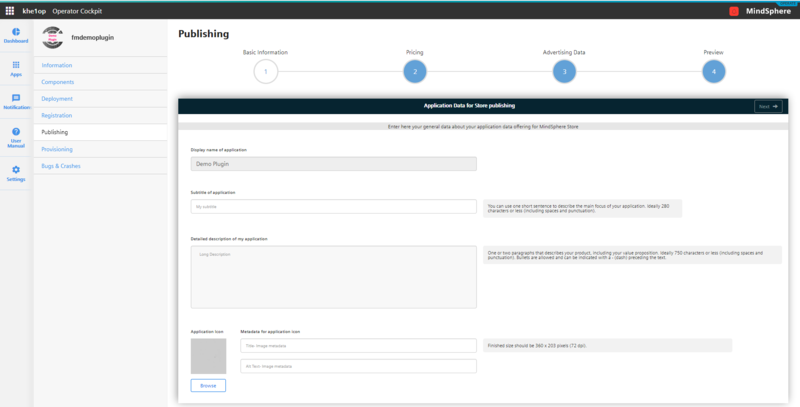 Prepare the upload of the application hosted on Cloud Foundry or the self-hosted application. Open the details view of the application on the Dashboard of the Developer Cockpit. Upload a .zip archive with the application binaries and a manifest.yml. If the application uses backing services, configure the service plans. The status of the application changes to "READY-TO-UPLOAD". 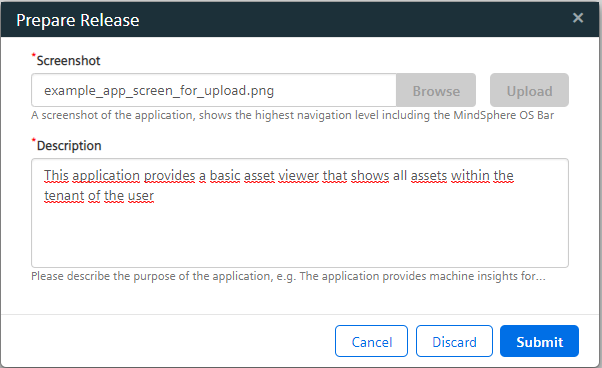 Upload a screenshot of the application showing the top-level site including the MindSphere OS Bar. Enter the e-mail address of the substitute. Read and accept the IMPORTANT NOTICE information. The status of the application changes to "UPLOAD-IN-PROGRESS" and it has been successfully submitted to the application repository. You and your alternate contact are notified once the application is ready for assignment or if it does not fulfill the MindSphere requirements. This can take up to 14 days. Open the details view of the application in the Promoted Apps of the Developer Cockpit. Wait for the operator to accept the plugin. Click "Grant". The operator can now deploy and publish the app. The application has been uploaded to the Operator Tenant. You have the role mdsp:core:OperatorAdmin. Deploy the application via the Operator Cockpit. For instructions, refer to the deployment chapters of the Operator Cockpit documentation. After a few minutes, the status of the application changes to "Deployed" in the Operator Cockpit. Register the application via the Operator Cockpit. For instructions, refer to the registration chapters of the Operator Cockpit documentation. The application is now ready for productive use. Assign the application roles to users of your tenant. After logging out and logging back in, the application is available on the user's Launchpad. If the respective roles are not assigned to a user, the application is not visible for them. Offer the application in the MindSphere Store. For instructions, refer to the publishing chapters of the Operator Cockpit documentation. When a customer buys the application, provide them access. For instructions, refer to the provision chapters of the Operator Cockpit documentation. 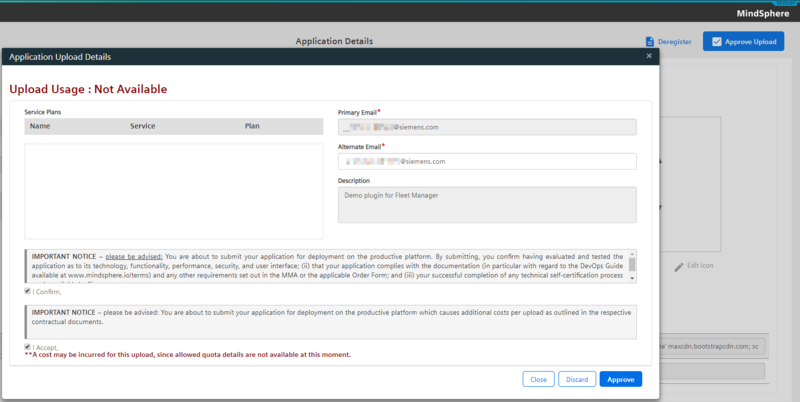 Note that the customer has to assign the application roles to their users to see the application in their Launchpad. New role assignments only become active for a user after logging out and logging back in.